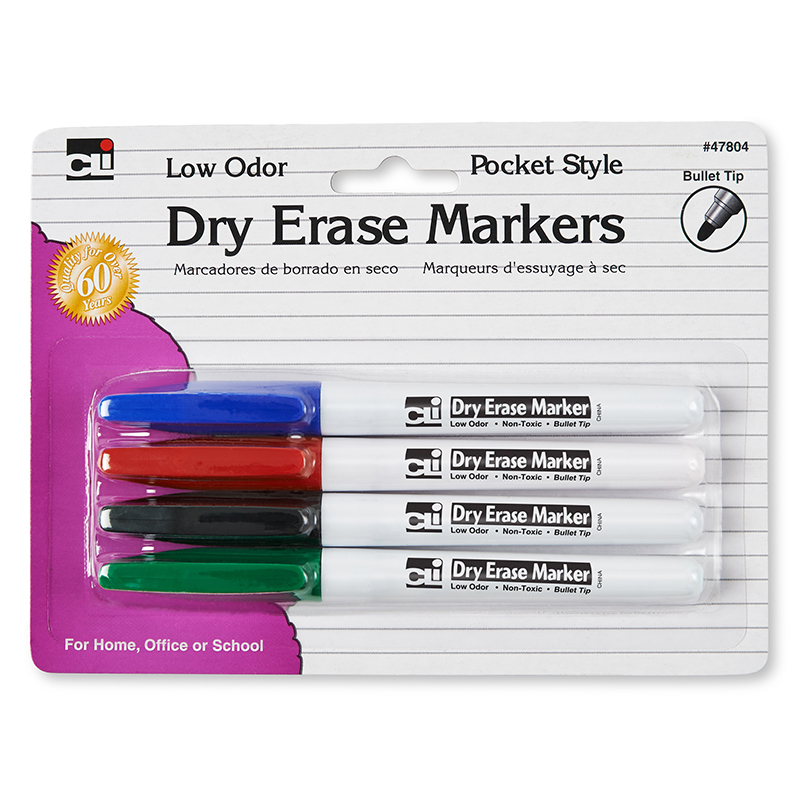 Pocket style dry erase markers feature low odor and bright vivid colors. Use on dry erase boards or glass. Markers wipe away clean and easily. Features a bullet tip and is non-toxic. AP Certified, conforms to ASTM D-4236.